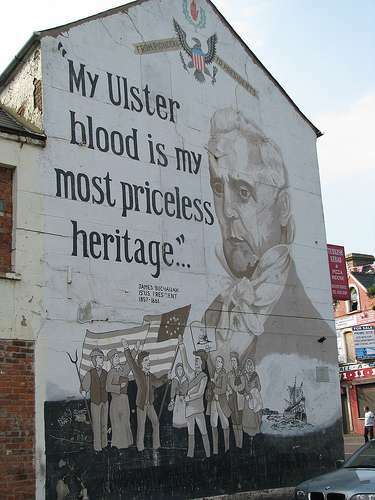 Many visitors to Belfast come to see the famous murals. 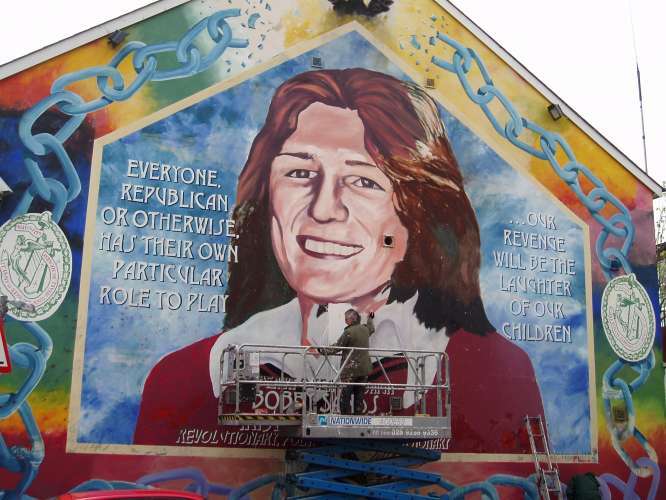 But, once here, many are surprised at just how many have little, or no, political allegiances. 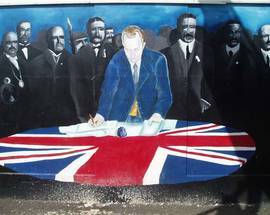 West, North and East Belfast have the political edge, with many murals in and around the Nationalist Falls Road bearing an Irish historical theme to underline its all-Ireland ethos. 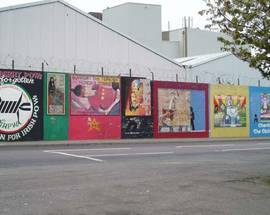 The Falls' International Peace Wall is another big tourist draw where large works of art depict George W. Bush's Iraqi War, the Arab-Israeli Conflict, Spanish Civil War and other global campaigns, past and present. 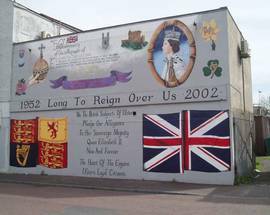 The Shankill and Newtownards Roads have the most visited Loyalist murals reflecting those communities' pro-British stance. And the Shankill side of the Peace Wall also features new artwork over the original graffiti and sectarian slogans. 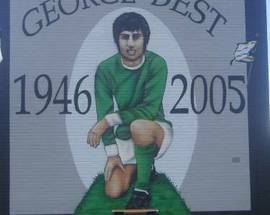 Football Murals: Local legend George Best can be spotted immortalised on walls along the Sandy Row in Man Utd strip and adorned in NI attire in East Belfast's Cregagh Estate where he grew up. 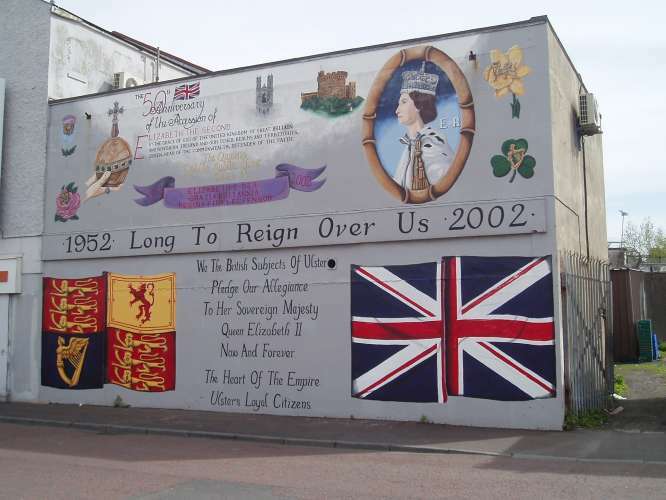 NI's Euro 2016 qualification is celebrated on a wall at the Albertbridge Rd. 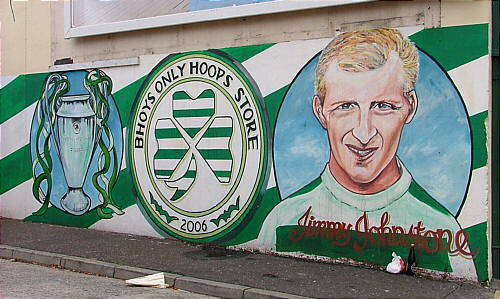 Celtic FC’s greatest ever player, Jimmy ’Jinky’ Johnstone, is immortalised in a Falls Road mural. Golf god Rory McIlroy, born in Holywood just outside Belfast, is the subject of a gable end mural on Damascus Street in the Queen's University residential area dubbed locally as the 'Holylands'. 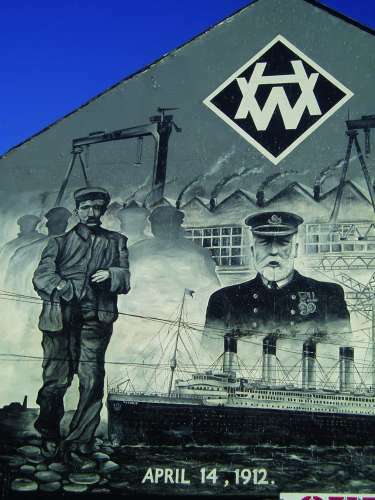 Titanic: There are several across the city, but by far the best is a striking black and white painting showing Captain Smith flanked by the cranes and overlooking the ill-fated liner. 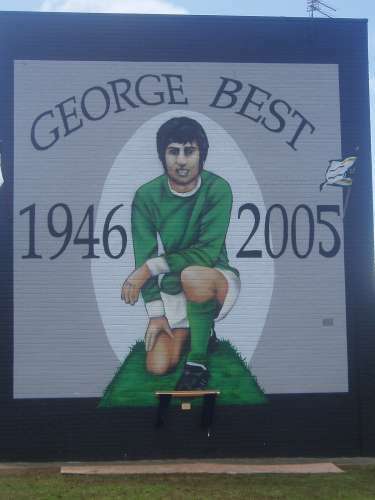 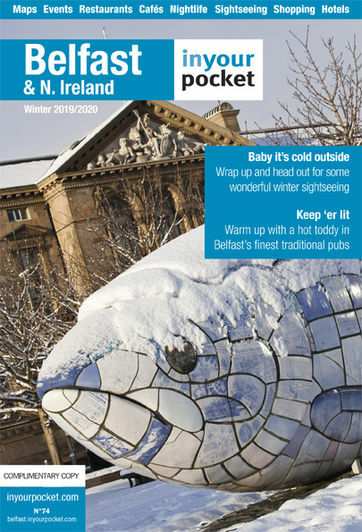 Find it on the corner of East Belfast's Dee St and the Newtownards Rd. 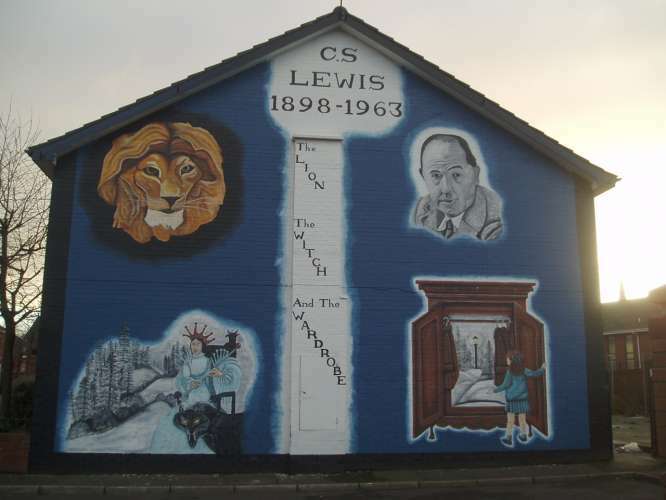 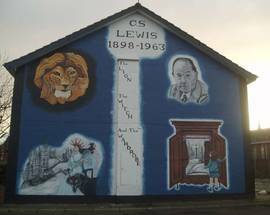 CS Lewis: The Belfast-born writer is depicted on two East Belfast 'Narnia’ murals that also feature scenes from his seminal work The Lion, The Witch and The Wardrobe. 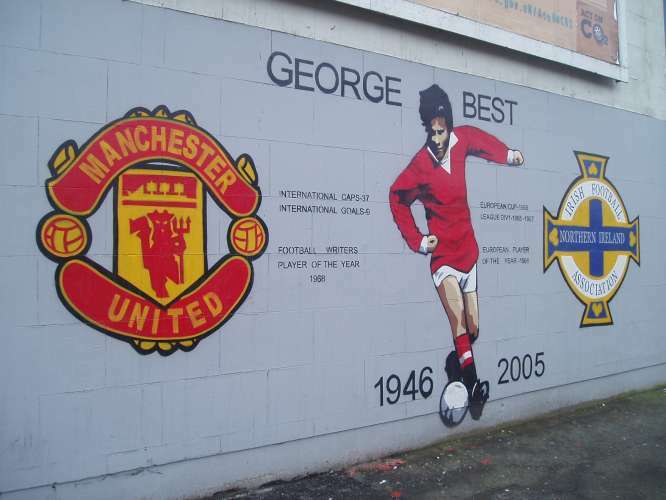 Find them off East Belfast's Dee St. (near the Titanic mural) and Ballymacarrett Rd. 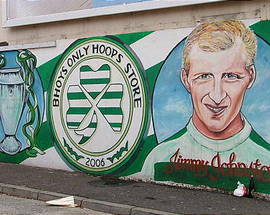 - themselves both off the Newtownards Rd. 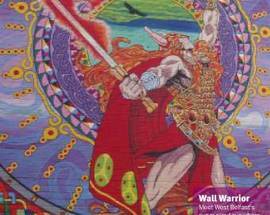 Art Alley: Based mainly on the Celtic myth of Tuatha de Danann and the Battle of Nuada, the revamped Art Alley – or Pinniúir Pictiúir - is at the top of the Whiterock Road. 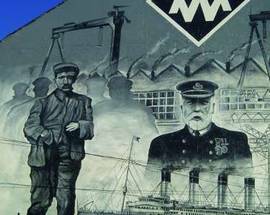 The ancient battle scene first appeared on a nearby gable wall twenty years ago, but was lost due to housing redevelopment. 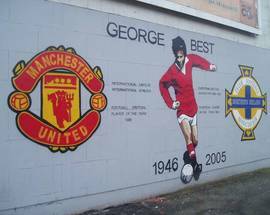 The new location, at the Top of the Rock Junction, provides an ideal canvas for eye-catching art, helping to promote the area in a positive and uplifting way. 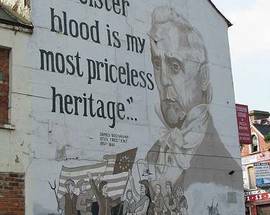 US President: 15th U.S. President James Buchanan looms large on a Shankill Rd artwork commemorating his Ulster-Scots ancestry. 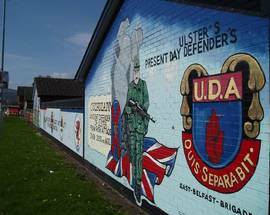 Teenage Kicks All Through The Night: Derry punk gods The Undertones' most famous lyrics stretch along a wall beneath the M3 flyover at Bridge End, city centre east. 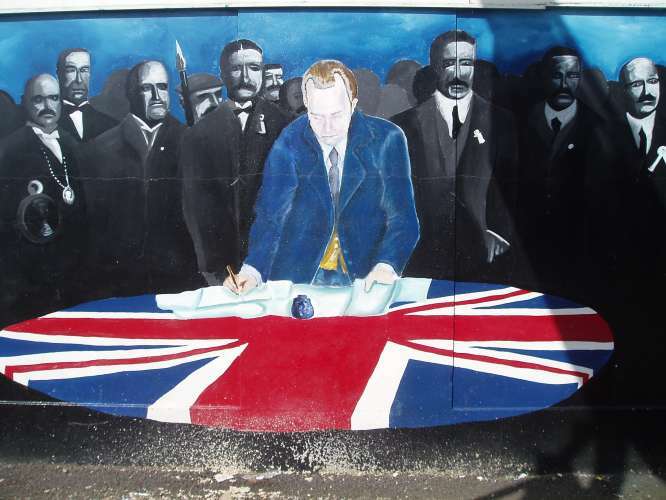 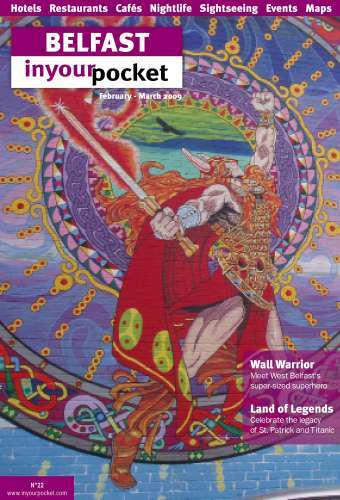 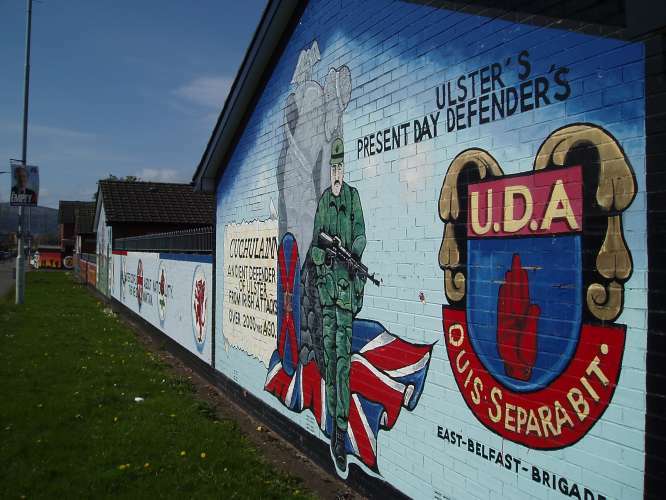 For a comprehensive database of NI past and present murals - both political and apolitical - check out this unrivalled website.